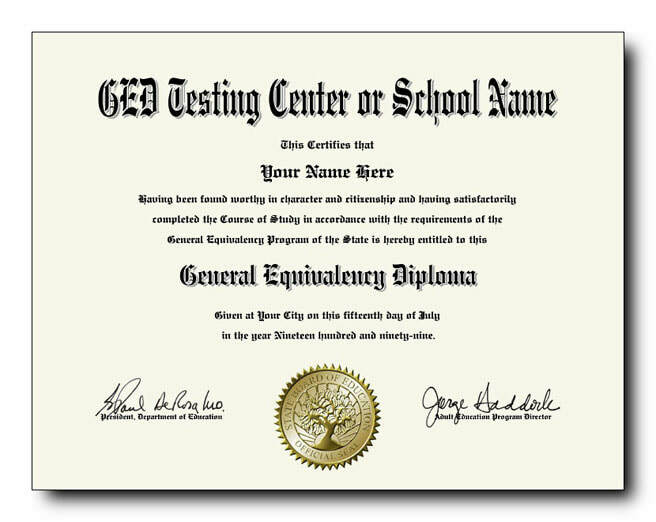 Don't be fooled into over paying for a so-called replica GED printed on cheap certificate paper that you could buy at the office supply store! Our diplomas are printed on premium quality, 8.5" x 11" heavy-weight textured ivory linen paper and come with an embossed gold foil seal at no extra fee. 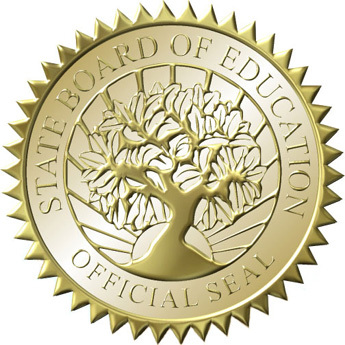 Your choice of state issued or school issued style GED diplomas starting at only $49 each! 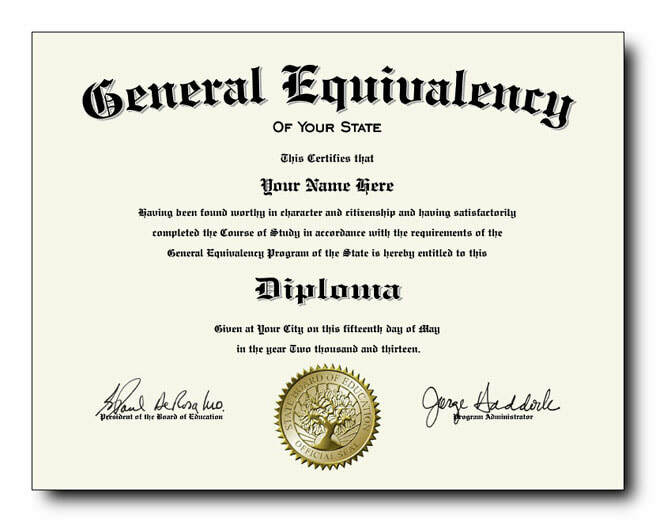 Want to make your fake diploma even more believable? Then try adding one of our outstanding GED transcripts to your order! 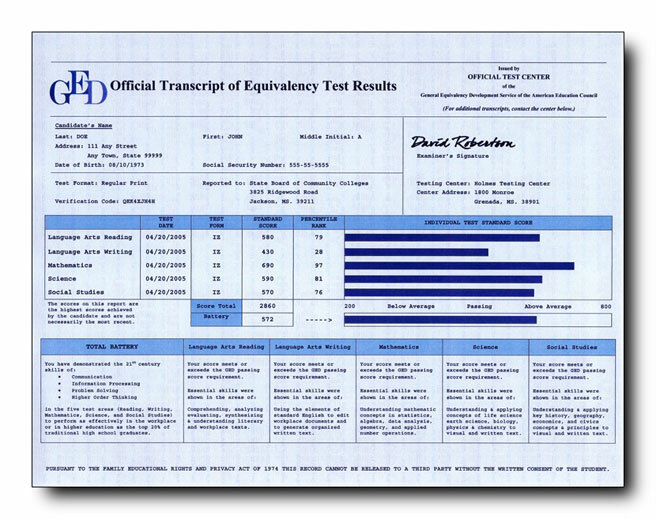 Our fake GED score sheets are printed on genuine transcript type anti-copy security paper, are available with an embossed registrar seal, and include passing test scores for all five sections of the GED test which includes the following: Language Arts Reading, Language Arts Writing, Science, Mathematics, and Social Studies. Each test section will have your numeric score listed along with corresponding national percentile rank. Our transcripts also include the student's name, address, date of birth and student ID number, along with the name and address of the Testing Center where you took your GED test. And last, but not least, each transcript also lists the correct name and address of your state's governing body where the student's test scores would be reported to, just like an official score sheet does. The bottom line is, without taking the actual test, you can't get a more realistic GED transcript! Get a GED diploma & transcript package for only $89! Sample diplomas shown with computer generated signatures. Hand written signatures and blank signature lines are also available. All GED transcripts are printed on pale blue security paper.